One of the most satisfying gain that I personally benefited from creating this blog is that I am learning new thing every single day. Besides the stock investing knowledge/tips from the regulars (like CW8888, B, LP etc... you know who you are ;-)), I've also learnt more about creating a better blog. 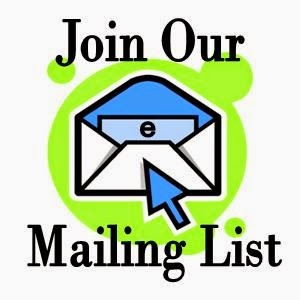 As advised by of the of the guru here to create my mailing list for my blog so that I can have more interaction with my readers/subscribers via email notification. As my blog is still at its infancy and I do not plan to spend any money on such Autoresponder service at the moment, I've done a quick research and decided to use of the popular Autoresponder called MailChimp which allow me to handle up to 2,000 subscribers for FREE (I am sure it will take me a long while to reach this milestone). I think mailing list is good for people who are not always following your posts. Your blog is like taking medicine. Twice or three times per day. LOL! Thanks for all the tips/guidance provided thus far! I am also deciding on migrating to either MailChimp or AWeber. MailChimp is definitely very enticing as it is free up to 2,000 subscribers but I am reading stories of accounts being banned due to its stringent criteria. If you read about http://mailchimp.com/legal/acceptable_use/, you will see that trading and stock market content is prohibited. Although it is debatable, the last thing we want is to see our account being banned after we have put in effort to build up a credible subscriber base. Hi Derek, thanks for the heads up.. Didn't know that Mail Chimp has such a strict guideline.. Anyway, will monitor for a while and see how it goes..
Another source of online income from the list to monetize? All the best to your venture too!